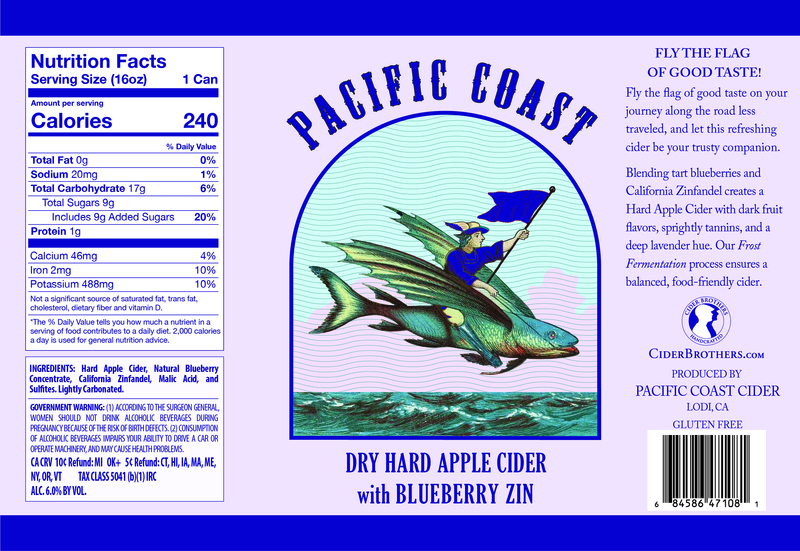 Blending tart blueberries and California Zinfandel creates a hard apple cider with dark fruit flavors, sprightly tannins, and a deep lavender hue. Our frost fermentation process ensures a balances, food-friendly cider. Great pairing with BBQ, BLT’s and Blueberry Salsa.